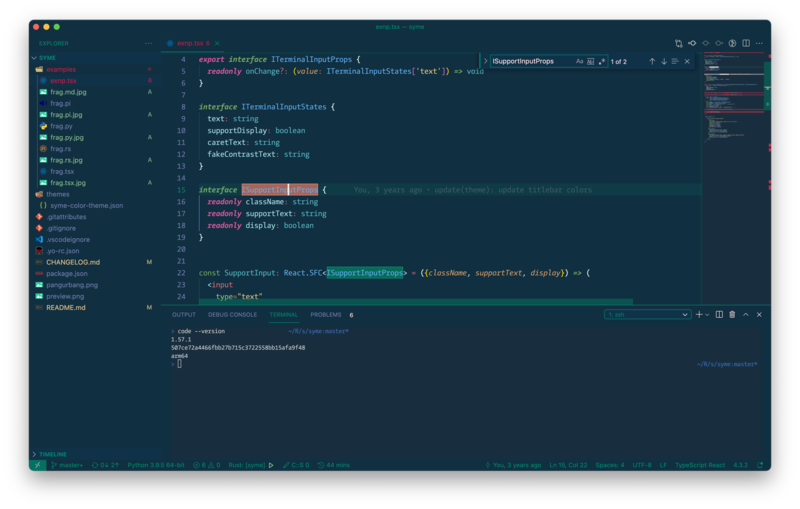 Visual Studio Code>Themes>symeNew to Visual Studio Code? Get it now. Based on monokai and maia.